The Center for Avian and Exotic Medicine works closely with several organizations to help save the lives of exotic animals. Every year thousands of pet birds, small mammals, and reptiles are rescued from NYC streets and city parks. Countless more are abandoned at local animal shelters or left outside of pet stores. It is our mission to help find these wonderful pets a place to call home. We are proud that since we opened in 2004 we have been working with local shelters and other NYC rescue organizations. In that time, we have placed hundreds of animals in wonderful new homes! View our pets for adoption below. Read about our success stories here! This is a very special old-man-parrot who was relinquished when his elderly caretaker could not longer care for him. This often happens as parrots like Renji can live a very long time! We do not have an exact age but he is certainly over 30-years old. He has some medical issues, such as vision impairment and arthritis, but he is overall in good health! The team here at the Center has been working hard to teach him to eat healthy foods (he came to us eating nothing other than peanuts and sunflower seeds- NOT a healthy diet) as well as teaching him how to be loved! He is quiet and shy, and while he does not know how to step-up, he does not bite (hard) and allows affection on his terms! 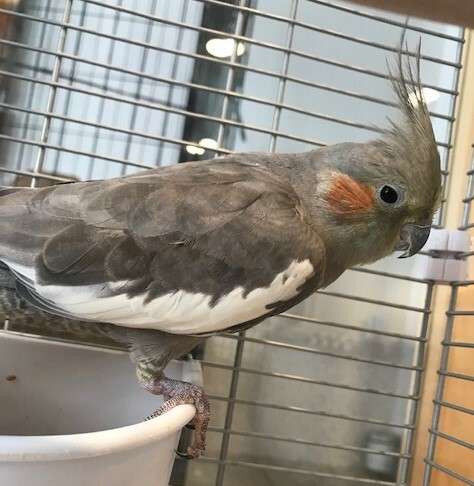 He will make a great companion to someone with experience with birds who wants to provide him with a long-term loving home! 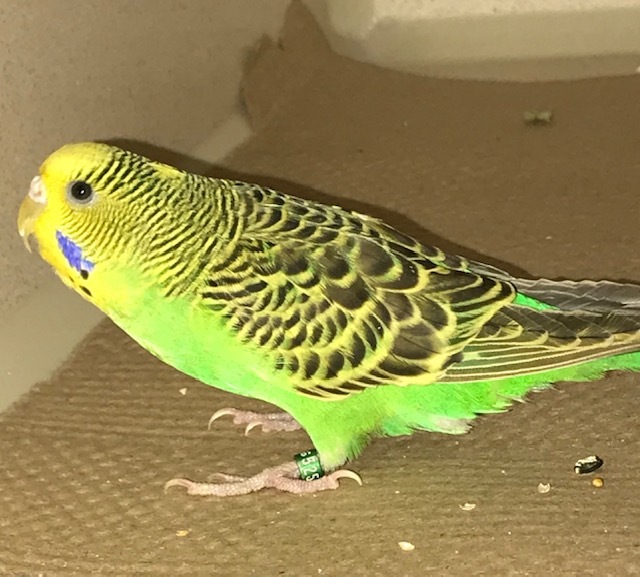 This nervous budgie was found outside on Madison Ave. in NYC. She was a little cold (it was 22 degrees out!) but since warming up, she is a hungry, curious, adorable budgie. She would do best in a home with another budgie or flock. 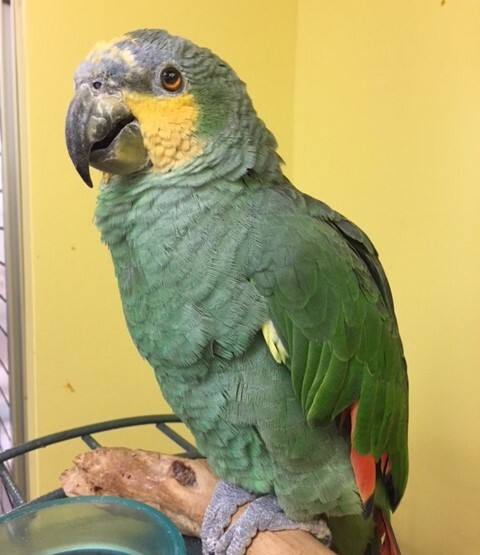 Wouldn't you love to add this green gem to your aviary?? Storm was found outside in a big STORM a few weeks ago. She was a bit battered from the weather, but she recovered very well. While she is nervous around people, once she learns to trust you, she does step onto a hand. We think she is just waiting for the right person for her to bond with. She would also love to live with other cockatiels. Won't you come by and visit her? !